It’s our book club’s third anniversary today! Technically, our book club was born online in Goodreads around 2007, but it wasn’t really alive, until around 2009 or so, when people started posting. And then in 2010, they had their first meet-up. We have a lot of events lined up for this month, so if you’re a Filipino on Goodreads and you’ve been looking for a book club to join — we are right here! If you’re a lurker, then this is the best time to unlurk! :) Come and join the fun (and the clinginess)! 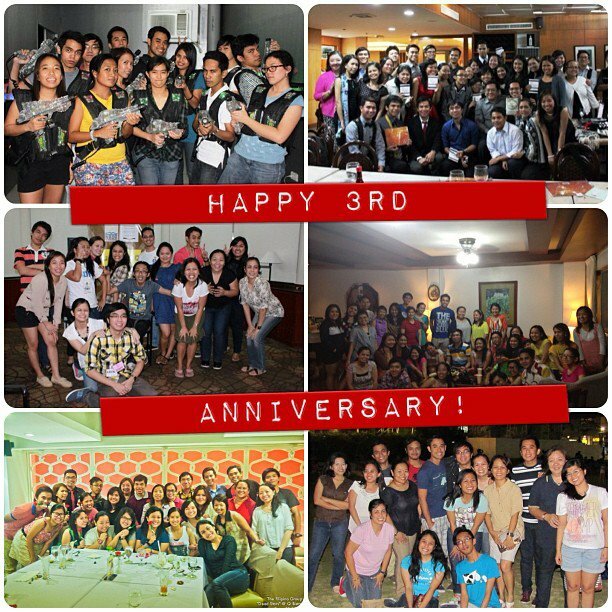 Happy 3rd anniversary, Goodreads – The Filipino Group! Happy anniversary to TFG, Tina! You guys are bookishly awesome! More bookish discussions, more bookish meetups, and more bookish discussions to you!